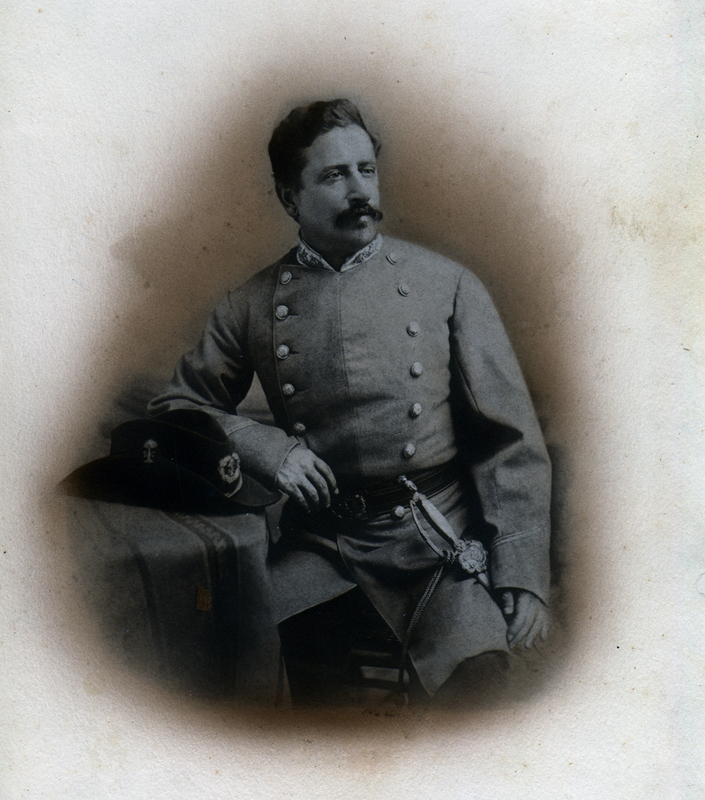 Edwin Warren Moïse epitomizes the fierce allegiance most Jewish South Carolinians felt for the Confederacy. Son of Abraham and Carolina Moses Moïse, he was born in Charleston in 1832 and brought up in Beth Elohim, where his father was a leader in the reform movement. At age 14, Edwin worked as a clerk and then went into his own business. In 1854, he married Esther Lyon of Petersburg, Virginia, and the next year moved to Columbus, Georgia, where he operated a flour mill, kept books, and studied law with his uncle Raphael J. Moses. Though opposed to secession, once the Civil War began Moïse raised a company of “Partisan Rangers,” or cavalry, at his own expense. Officially named the Moïse Rangers, the unit fought in North Carolina and Virginia, and teamed up with Major General Wade Hampton in 1864 in what came to be known as the “Great Beefsteak Raid.” When the South surrendered, Moïse resettled in Sumter where he built a law practice, went into politics, and wrote for the local newspaper.